L&K IS A SPECIALIZED REAL ESTATE BROKERAGE, CONSULTING AND DEVELOPMENT FIRM WITH GLOBAL REACH. L&K Real Estate, Development and Consulting is a boutique brokerage based in Big Sky, MT with over 50 years combined experience and over $1.5billion in sales. Specializing in luxury lifestyle properties, we work with clients to assist with their real estate needs. We understand real estate from land development to marketing and sales of finished products. 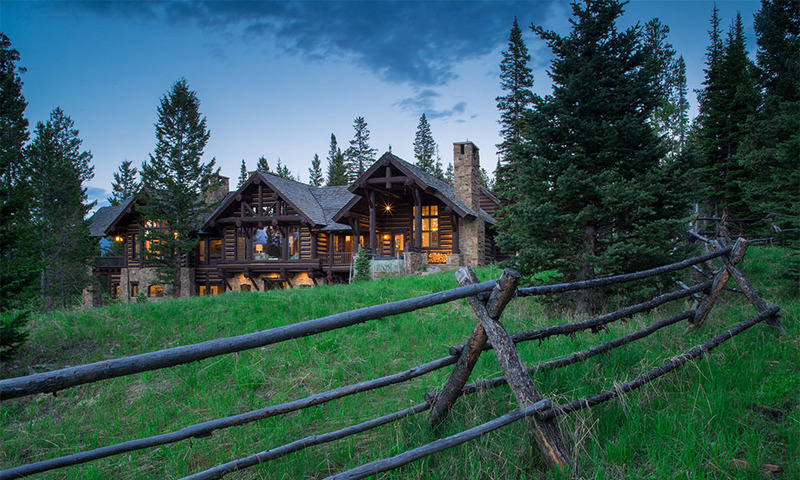 Our experience varies from consulting on international residential and commercial development projects, to representing luxury listings in SW Montana including properties in Big Sky, Spanish Peaks, Moonlight Basin, and Bozeman. Our personal approach and strong marketing influence is a refreshing change to the current standard in the Real Estate industry, working as a licensed team to represent our clients. Our personal approach and strong marketing influence is a refreshing change to the current standard in the Real Estate industry, working as a licensed team to represent our clients, rather than individual competing agents. Eric brings over 25 years of experience in marketing, real estate sales and development, restaurant management, resort operations, publishing and expedition guiding – holding senior positions with industry leaders Vail Resorts, Yellowstone Club and Everlands, before founding Outlaw Partners in 2009 and L&K Real Estate in 2010. Recently ranked as one of the Top 10 real estate sales people in the United States, Eric’s role as founding senior sales representative led Yellowstone Club to achieve over 1 billion in sales – one of the most successful runs in real estate in the last decade. L&K Real Estate is an industry leader in real estate brokerage and development arena, ranking as one of the premier brokerages in the Northern Rockies. Eric is co-founder and owner of Boundary Expeditions, a premier river guiding company in Idaho and has led first descents of rivers in Tibet. Eric is the 4th generation of his family to work in the real estate business platform and brings an extensive network to his business deals and investments. Ryan has had an eye for business development opportunity throughout his career. Learning the value of hard work through his family’s construction business at a young age, he has directed his efforts in multiple successful entrepreneurial endeavors including leadership positions at Big Sky Resort, owner of a successful transportation company and a strong real estate career since 2004 at agencies including Sotheby’s International Realty prior to co-founding L&K Real Estate. fastest growing resort areas in the country, he has since consulted on numerous development projects throughout the US. Katie has over 20 years of sales & marketing experience with a focus of clients with an active luxury lifestyle. Joining Eric Ladd at Yellowstone Club as his sales asst. in 2005, she contributed to one of the strongest real estate sales runs in recent history as he led their team to over $1 Billion in real estate sales. Between sales and marketing roles at Everlands and Outlaw Partners, she served as Executive Director of a $500K NPO BSCC where she managed a $3M park project, led efforts to create a multi-jurisdictional park district, and was appointed to the Montana State Trails Advisory committee by Gov. Schweitzer for two consecutive terms. As marketing director for L&K Real Estate, she continues to push the boundaries of industry marketing practices to set the standard for the luxury brand and client outreach within the region. Born and raised in Upland, California, Carrie’s first career path was in the dental field. She spent over seventeen years managing dental offices ultimately closed that chapter of her life working in a multi-million dollar practice where she also assisted in surgery and implants. As an early example of Carries tireless and tenacious work ethic, during this time, she moved to Dallas Ft. Worth where she simultaneously co-owned and managed a concrete company for ten years specializing in decorative stamped concrete. Carrie moved to Montana in 2002 where she managed the front desk at both the Moonlight Spa as well as the Huntley Lodge. But it was the excitement of real estate that drove her to get her Montana real estate license in 2005. Carrie has worked for a number of brokers, including four years with Ryan Kulesza, co-founder of L&K Real Estate. Carrie has had direct participation in several multi-million dollar transactions in both Montana and Texas where she is also licensed. EJ joins the L&K team as a fourth generation Montanan, and the newest member of our team. As a licensed salesperson, he will help L&K source new listings, buyers, sellers, and potential development opportunities in the Gallatin Valley and Bozeman area. He simultaneously works as the Director of Sales for Big Sky based marketing and media firm Outlaw Partners, which services clients across the western U.S. Including Montana, Wyoming, Oregon, and beyond. His role at Outlaw allows him to work alongside many business owners in a range of industries in the greater Yellowstone region, helping them creatively market and brand themselves. Being a Bozeman native gives him great opportunity to network in a quickly growing Gallatin Valley market. With over six years of real estate experience and an enthusiasm for the Big Sky lifestyle, Michael is thrilled to be a part of the L&K Real Estate team. When Michael arrived in Big Sky for the first time, he was captivated by the beauty and recreational activities and immediately knew he had found his home. Raised in beautiful and historic Charleston, South Carolina, he was exposed to real estate at a young age by his parents, veterans of the industry for over 15 years. Michael developed that influence into a successful career where he gained experience in numerous aspects of real estate: from listing million dollar homes, to procuring investment properties, to renovating homes, to negotiating commercial leases. His experience and success earned him numerous awards and certifications, including his brokers license and Realtor of Distinction for closing over 5.4 million dollars in sales for the year. Michael believes every property should be viewed as a well rounded investment: an investment in your family, an investment in your health, and an investment in your financial life. Karen is originally from San Francisco and moved to Big Sky to ski in 1978 when it was just in its infancy. Being a part of the resort back then was a special time and she has knowledge of the growth of the area. She spent time in Santa Fe, NM where she first became a licensed Realtor, had a landscaping business, managed the construction/remodel of a resort/spa in the area, built two homes, but found her way back to Big Sky in 1997. Since regaining her real estate license in 2000 she has worked diligently to bring buyers and sellers together on many complex transactions. Karen joined L&K in 2013; her managerial role dedicated to bringing the team together to represent our clients and customers. Karen currently holds a position on the Board of Directors of the Gallatin Association of Realtors and successfully started a multiple listing service for the agents in Big Sky. Ethan is a Bozeman native, graduate of Montana State University, and owner of several businesses in the Gallatin Valley. He joins L&K as a Licensed Salesperson, with a focus on the Bozeman area. Ethan comes to L&K with previous residential real estate experience in Boston, and has spent the past seven years as a Partner and Directer or Client Services and Quality Assurance of a local tech company. In his role as a small business owner, Ethan has been involved in numerous commercial real estate projects, and will use this experience to help clients in structuring commercial projects. He understands the complexities of the Bozeman real estate market and will work hard to help both buyers and sellers realize their greatest potential. As an avid skier and outdoorsman, Ethan loves Montana and is passionate about helping clients make their Montana dreams a reality. When not working, Ethan enjoys spending time with his wife, Cristin, their 1-year old son, Harrison, and their white lab, Bianca.